I'm an 80's kid so I loved playing PacMan - Santa Claus even got me a table top version one year and that was pretty sweet (yes I eventually took it apart to see how it worked). What happened? Last year I pretty much wrote the Penguins off and they win it all. This year it was smooth sailing, then they get beat by Montreal - a team that shouldn't have been there. Fleury didn't perform as well as I've seen him play in this last game in Melon Arena. Oh-well, there's always next year! Now it's on to baseball season...Go Tribe! Microsoft - Please Hurry Up and Fix this...I just lost an hours worth of work! 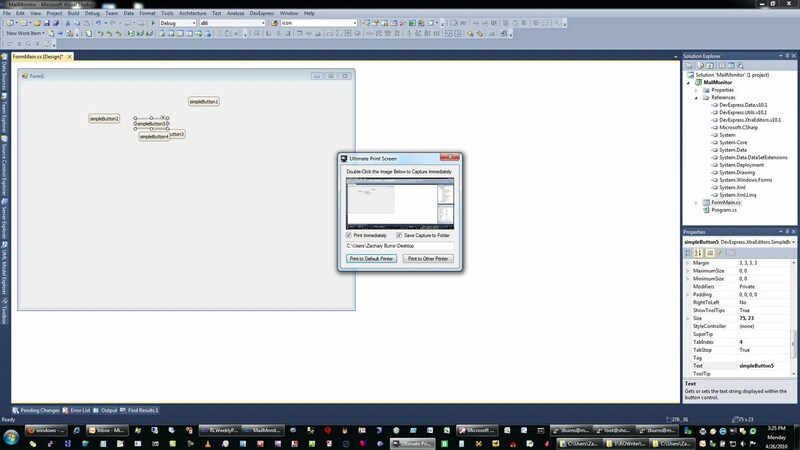 Yeah, I know I'm using Expression Blend 4 RC SketchFlow to mockup some applications before I code them up. It's release candidate software so it's not fully baked, but this really is a time-saver in the long run. I can use this as a proposal and get feedback before I get too involved in the project and it's costs developer time and money down the road. It's always better to mock up an application and get the usability, database mock-ups, etc done early in the life-cycle of a product before any code is written. Anyway, I think this has some more work before they release the Blend 4. 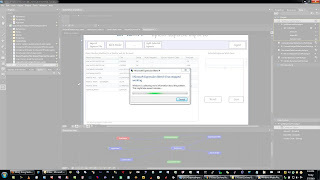 I hate Adobe products - just HATE them. 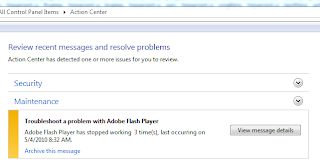 Adobe Acrobat - bloated, buggy, and have major security issues! It's just a Postscript reader. 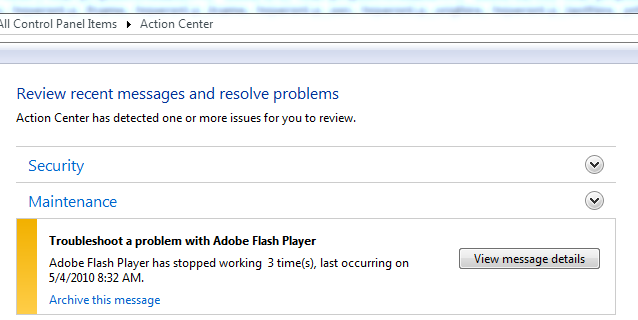 Adobe Flash - crap - it's slow, resource intensive and also prone to attacks. (it doesn't matter if it's Windows, Mac, Linux, etc. Flash crashed on them all and frequently too!) Their CEO should instead of defending his products, actually fix them! Windows 7 - Stop Thinking For Me! There's nothing I hate more than a computer thinking for me. That's not your job, that's mine! Just execute the instructions I tell you and move on. In Windows 7 - some jerk at Microsoft decided it would be a good idea to cleanup the shortcuts to servers or other computers off my desktop - no, it's not the desktop cleanup wizard - it's something else. Don't do it! Once a month, it takes my icons to servers in the server room and just deletes them once a month or so. So I have to turn off the scheduled task. I don't know what else that task does, but it's not going to be doing it any more. First image shows my missing icons, second image shows how to stop this. 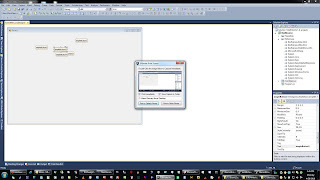 I still have to crank out .Net 2.0 solutions and dragging items from the toolbar in Visual Studio 2010 does this to me and I can't figure out why. I just click on a control, or double-click it to add to the form I'm working on and it assumes I'm going to be dropping the same control on the form multiple times. I can't turn it off or get it to stop. Is this a bug? (notice the cursor - hitting escape doesn't turn it off or revert to a selection arrow either). Strange.